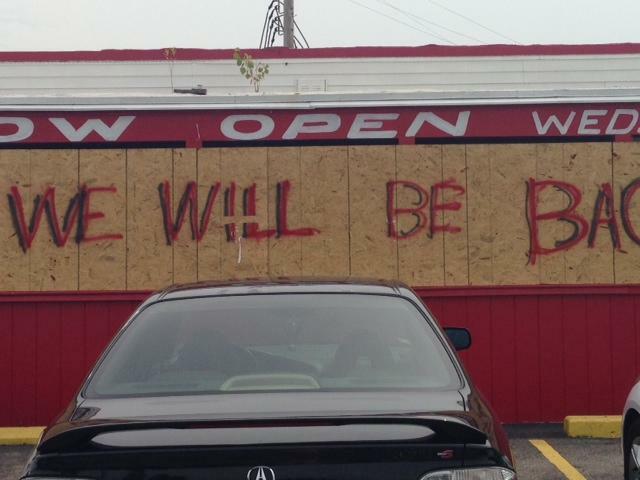 Red's BBQ on West Florissant Ave. The restaurant sustained damage after protesters broke in and set it on fire. The state is committing $250,000 to the program with matching donations from the St. Louis Economic Development Partnership, the St. Louis Regional Chamber and a coalition of local banks, including Pulaski, Enterprise and Commerce. Governor Nixon told a room packed with north county business and elected officials that this program is just a first step. "I want the people and businesses of this region to know that the state of Missouri is committed to this community not just today, but every day," he said. "This announcement is one component of a long-term effort to heal the economic and emotional wounds this community has sustained." Following the announcement, an activist involved in the Ferguson protests asked the governor if he would remove St. Louis County prosecutor Bob McCulloch from the investigation. Zaki Baruti, who heads the Universal African People’s Organization and is a coordinator for Justice for Michael Brown Leadership Coalition, said that removing McCulloch would serve as a "starting place for healing the community." Nixon responded that both the county and the Department of Justice are investigating and should continue to do so. "I think both the prosecutor and Justice each have jobs to do and they should get about doing the jobs they have been elected and chosen to do," he said. Nixon was more responsive when a local official asked about creating job opportunities that would give young people a sense that they have a future. "I think you're going to see us focus on a solid set of strategies that will not affect not only here, but many parts of the state where we continue to have unemployment rates that are far too high, educational outcomes that are sometimes challenging and disparities in those outcomes," he said. 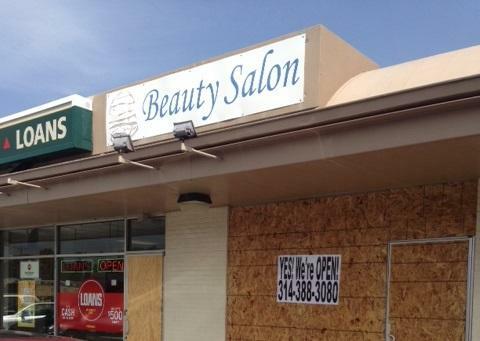 The governor also indicated that his administration will apply for a Small Business Administration disaster declaration so that businesses affected by the riots could apply for low-interest federal loans. Nixon said the Missouri Department of Insurance also is on the ground in Ferguson helping businesses file insurance claims and answering questions. Those interested in the Small Business Recovery Program can call the hotline at 314-206-3235 or email recoverystl@stlregionalchamber.com. Just Who Were The Outside Agitators In Ferguson? It was after midnight on August 19 when Missouri State Highway Patrol Capt. Ron Johnson stepped to the microphone to give a nightly press briefing on the situation in Ferguson. And he was angry. "We are going to make this community whole, and we are going to do it together," he said. "I am not going to let the criminals who have come out here from across this country or live in this community define this neighborhood and define what we are going to do to make it right."